With a taste for music and fashion twice their age, Australian band Parcels brings an unexpected sense of maturity and precision to modern day funk. "We’re still not quite used to this whole musician life...” jokes Jules, the lead singer, in between sets of their first New York show. 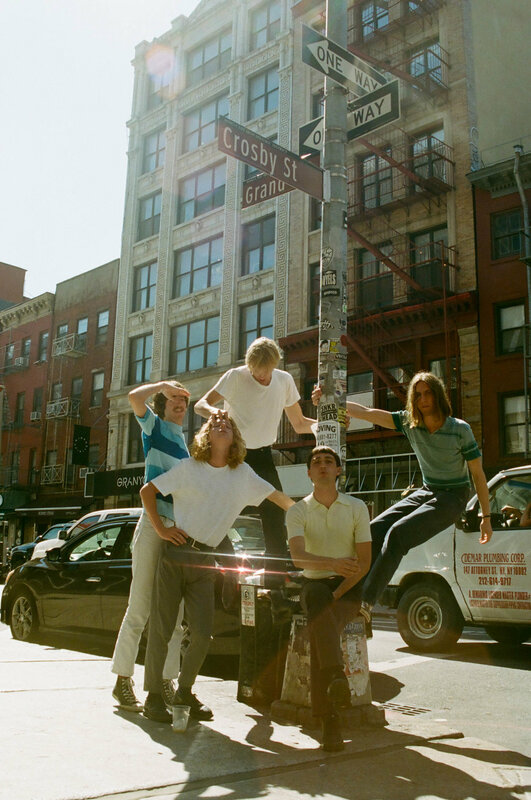 Having just flown in from LA where they made their American debut on Conan O’Brien, the now Berlin-based five-piece had only been in the city for 6 hours. When asked which coast they preferred, Noah, the bassist, sided with New York saying that although they "were staying all the way out in the boonies," at least they saw a gospel group on the train in the morning. The band has opened for Phoenix, collaborated with techno legends Daft Punk, and Pat, the keyboardist, just turned 21 — proving that age is but a number. Keep up with Parcels on Instagram and Facebook.